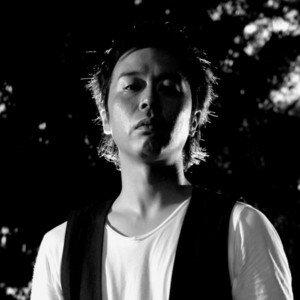 DJ U:ICHI started his career as a DJ from March 2003, in Okayama. He has established and holds distinct stance as an organizer DJ ever since. In 2003, U:ICHI has launched his own organize party “FORCE” and established a unique party scene collaborating music, visual, and space decoration with the presence of voluptuous drug queens. The party was a huge success of having over 300 to 400 people constantly and was renowned as the largest party in the area. With the success, U:ICHI became the leading organizer of the local scene. In 2008, he started DJing in Tokyo. U:ICHI ambitiously aims to achieve his genre-less fusion of minimal, click, progressive, and electro which are segmented in party scenes, with “all around house” as the keyword. He is currently actively involved with GALAXY RECZ label showcase “Force to Galaxy” with his good friend DJ KOHSUKE and also with the party which became the largest Sunday afternoon party at Womb, CSH4 (first Sunday of even-numbered months) as a regular DJ. U:ICHI has managed to procure a fan base that has enabled him to perform throughout representing clubs in Tokyo such as WOMB in Shibuya, ageHa, AMATE-RAXI, AIR, UNIT/SALOON, solfa, and energetically plays at Japan tour of international renowned labels and artists such as Anjuna Deep, Ministry of Sound, 303Lovers. His precise selection of tracks based on the situation comes from more than 10 years of career and the excellent mix work holds a great trust from the floor. Since 2012, U:ICHI started producing tracks with track maker Amaoh as the manipulator (under the name, U:ICHI&Amaoh). Amaoh’ is a experienced track maker with his own tracks reaching top of the chart in Progressive division on JunoDownload site. Their tracks “Behoma”, “Love Phantom”, “HareruYEAH” are full of original ideas, anacatesthesiatic synthesizer line (their specialty), and playful essences. It is due to be released from Japanese dance music label GALAXY RECZ!! !